K.W. Jeter is apparently the man who invented Steampunk – the word and the genre. This latest novel of his takes you deep into a disturbing world, where the border between man and machine becomes blurred. 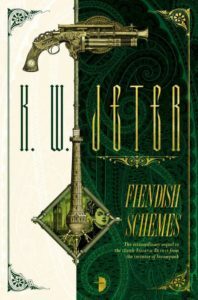 Fiendish Schemes is set in the Victorian era, and the lead character, George Dower, is the son of a famous inventor. However, George firmly does not follow in his father’s footsteps. He is what one might call a “loser” – achieving nothing with his life, drinking too much and living off his father’s reputation. George soon (and unsurprisingly) finds himself in trouble – threatened with violence and death on multiple occasions, he desperately tries to find one of his father’s missing inventions for the promise of vast sums of money. Jeter’s Victorian era is outstandingly detailed and has some wonderful touches – the Prime Minister of England, Mrs Fletcher, is a fearsome lady who earns her nickname of the Iron Lady by having her upper body joined to a steam locomotive, turning her into a steam-powered centaur of sorts. Jeter’s use of language is excellent, and he manages to make the book sound as though it was written in the first half of the 20th century, while still making it eminently readable. 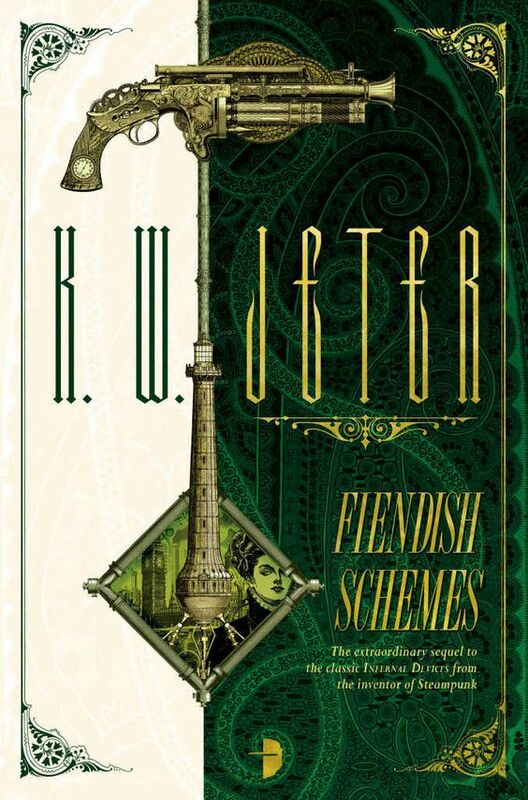 Whether you are a steampunk fan or not, Jeter’s work deserves recognition and should have a place on any self-respecting science fiction lover’s shelf.